Frozen fish from El Aaiún in occupied Western Sahara is exported on a weekly basis to Las Palmas on the Canary Islands, via a Royal Air Maroc commercial flight. Picture above is the plant of Dipromer in El Aaiún. 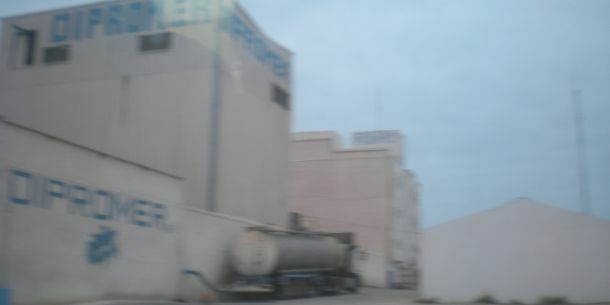 Its sister factory in Dakhla appears as exporting to Canary Islands by air. Morocco is now applying a new way of transporting fisheries products to Europe from occupied Western Sahara: by air. 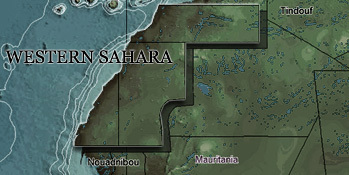 The Court of Justice in three rulings of 2016 and 2018 concluded that Western Sahara cannot be part of a trade agreement with Morocco. Yet, the European Commission’s Trade Control and Export System yet includes producers in Western Sahara under the Morocco country list of approved establishment for fishery products. See also here. Western Sahara Resource Watch (WSRW) has evidence that the approved establishment and exporter to the Canary Islands of the frozen fisheries products appears to be Dipromer II, based in Dakhla (Western Sahara). Dipromer II appears on the mentioned country list. The trade is not only controversial in terms of what legal basis and tarrif regime there is for cargo to be shipped from Western Sahara as the territory is not part of the EU-Morocco trade agreement. Another concern is regarding which legal basis there is for a cargo to be shipped by air. Royal Air Maroc has opened a regular air route between El Aaiún and Las Palmas that operates three times weekly (AT 998). Prior to the vote on the EU-Morocco Aviation Agreement on 24 October 2017, the Commission stated that the wording and geographic scope of this agreement mirrored that of the EU-Morocco Fisheries Agreement in its territorial application. Given that the rulings of the European Court of Justice on Western Sahara have clearly stated that no bilateral agreement between the EU and Morocco can apply to Western Sahara, the EU-Morocco Aviation Agreement cannot logically apply to any air route between airports in EU Member States and Western Sahara, including the El Aaiún-Las Palmas one. However, in a reply to Members of the European Parliament on 16 May 2018, the European Commission had dodged the straightforward parliamentary question whether “the EU-Morocco Aviation Agreement appl[ies] to air freight and passenger flights between EU Member States and the territory of Western Sahara?” by merely stating that “the Commission is currently examining if recent jurisprudence of the European Court of Justice has any implications for the Euro Mediterranean Agreement”. A few days earlier, on 4 May 2018, the European Commission had provided aggregated freight and mail figures on transport between the EU-28 Member States and El Aaiún airport, noting that only Spain declared any traffic with that airport. According to the Commission, total freight and mail loaded and unloaded between Spain and El Aaiún amounted to 118 tonnes in 2017 (112 tonnes of which were unloaded in the Spain), in sharp increase with 15 tonnes in 2016 and 50 tonnes in 2015. See WSRW's coverage about the EU-Morocco aviation agreement. In the absence of a legal basis for the El Aaiún-Las Palmas air route and the justifiable doubts regarding the tariff that is being applied to the fish products exported from Western Sahara to Las Palmas, WSRW recommends customs officers in the Canary Islands to carefully scrutinize the next shipments upon arrival at Las Palmas airport.